Every low-tech fighter (and every gamer!) knows that the secret to surviving slings and arrows – not to mention swords, musket balls, and dragon bites – is a good suit of armor. GURPS Low-Tech and GURPS Low-Tech Companion 2: Weapons and Warriors deliver handsomely in that department . . . but it can take a lot of number-juggling to get costs and weights for the bits you want, and some page-flipping to find the options you desire. 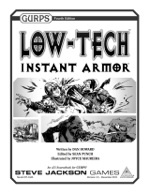 GURPS Low-Tech: Instant Armor offers defenses against both these annoyances and battlefield dangers. 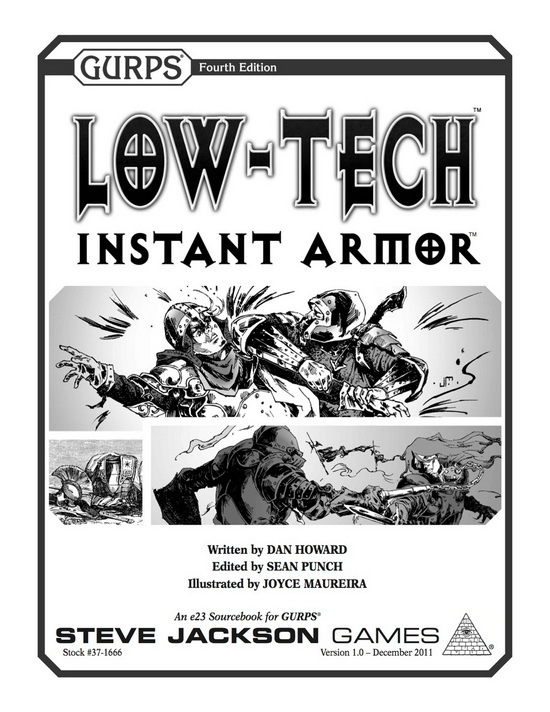 For extensive information on all pre-modern equipment, including armor, see GURPS Low-Tech. Take arms! Expanded information and options on armor can be found within GURPS Low-Tech Companion 2: Weapons and Warriors.